The Lehigh, or Black Diamond, Trail is a main connector between Victor and Mendon & points west. It is a full multi-use trail. It is mostly on the bed of, and named for the Lehigh Valley Railroad. The railroad was famous for hauling anthracite coal ("black diamonds") from Pennsylvania. It's premier passenger train was "The Black Diamond Express" which ran from New York City to Buffalo N.Y. The main coal hauling route was from Lehigh PA up through Ithaca, Geneva, and on to Buffalo. Our segment of the line opened in 1892 and was taken out of service in 1977. 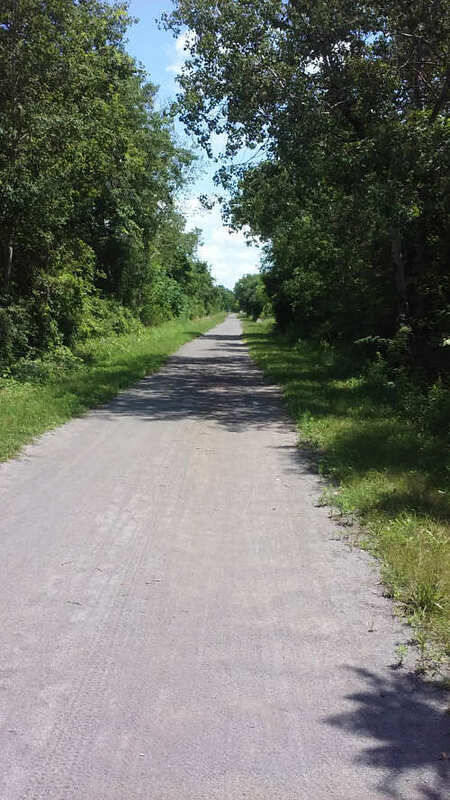 Other sections of the rail corridor are also now trails, most notably in Monroe County, which we seamlessly connect with, and in Ithaca. Our mile markers continue the series of the Monroe County Lehigh Valley Trail Park. They measure east from the Genesee River. This flat section is along NY251, the Victor-Mendon Rd, but is separated from the highway by a grassy median. It has a grass surface 2- to 4-feet wide. It crosses the Trolley Trail and meets the Seneca Trail where it turns off of 251 to the east. The first part is on Park Driveway. There is a large parking lot here. Then it is a full multi-use trail 10-foot wide fine stone surface going by the pond and up the hill, through meadow and woods to the rail bed. (This section opened in Fall '10). It then continues onto the Truss Bridge. There are two VHT trail crossings in this section. First the Fisher's Landing Trail and then the Trolley Trail. There are other trails in the Park. Between these crossings are two large cast concrete structures that were abutments for the bridge that carried the trolley tracks over the Lehigh tracks. This bridge was decked over and opened in Spring '08. Crosses Phillips Rd, Wangum Rd, and Old Dutch Rd. This is full multi-use trail with a fine stone surface, 10-feet wide. An ADA compliant ramp connects to the Auburn Trail. Between Phillips Rd and Wangum Rd, is the Domine Trail connection. There is parking at Old Dutch, Wangum, and Phillips Rds. At the town line it connects directly to the Monroe County Lehigh Valley Trail Park (Black Diamond Trail). Between Wangum and Old Dutch Rds, there is a connector trail to Fishers Park, with many more trails. This connector goes through the Fishers Crossing Office Park, home to Victor Parks and Recreation Department, where is more parking available. The section from Old Dutch Rd. to the Mendon town line has a parallel grass surfaced trail for equestrian use. This continues on the Monroe County trail. Horses are not permitted east of Old Dutch Rd. (Or on the Auburn Trail.) The parking at Old Dutch Rd. accommodates horse trailers. The Lehigh Trail continues west through the hamlets of Mendon and Rush (both have nice little parks, in Rush, overlooking a dam) as Monroe County's Lehigh Valley Trail Park, cosponsored by the Mendon Foundation. The trail is mostly 10-feet wide. At Rochester Junction, it connects with the Lehigh Trail North that goes to Henrietta. It crosses the Genesee River and connects to the Genesee Greenway Trail. 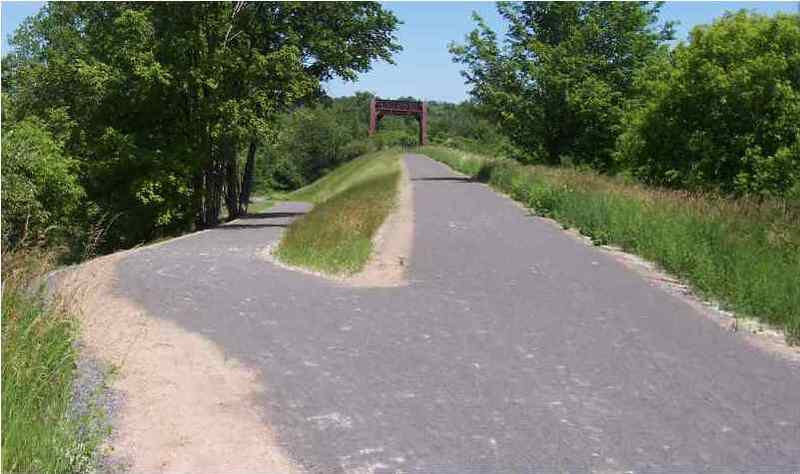 The Greenway is a State Park multi-use trail that connects to the Erie Canal Trailway and Rochester's trail system in the north to the Southern Tier of the state.